The Best Organic Beauty blogs from thousands of top Organic blogs in our index using search and social metrics. Data will be refreshed once a week. Also check out Organic Beauty Videos from Best 20 Organic Beauty Youtube Channels. 2.41 The Organic Beauty | Natural, Radiant Beauty from the Inside Out! Organic Beauty newsletter is a comprehensive summary of the day's most important blog posts and news articles from the best Organic Beauty websites on the web, and delivered to your email inbox each morning. To subscribe, simply provide us with your email address. Sydney, Australia About Blog Australia's leading one-stop shop for toxin-free, all-natural beauty, health and fitness products. Their mission is to do all the hard work for anyone wanting to reduce the chemical overload on their body. They research and wade through all products available to bring together organic beauty and lifestyle products that look good and work. Facebook fans 249,414. Twitter followers 2,943.
International About Blog Formula Botanica is the world's leading accredited online Organic Cosmetic Science School. Our online courses teach you how to formulate organic cosmetics. Facebook fans 24,356. Twitter followers 8,049. Dana Point, California About Blog Get beauty, hair & skin care tips from a licensed esthetician. An Organic Skincare blog, sharing natural skin care tips to make your skin healthy. Explore beauty tips now! Facebook fans 102,932. Twitter followers 2,326. Portland, OR About Blog Vegan Beauty Review is an award-winning, fun and edgy vegan & cruelty-free beauty and lifestyle blog. I created the website to show the world that being vegan can be fun and beautiful! VBR provides savvy consumers with entertaining and useful reviews of cruelty-free, organic, and eco-friendly beauty products. My goal is to show the world that veganism can be beautiful, bold, fun, and delicious! Facebook fans 17,124. Twitter followers 25,782. Vancouver, BC About Blog Eminence Organic Skin Care offers effective and professional natural, organic and Biodynamic skin care products to leading spas worldwide. Their mission is to enhance your well-being naturally through extraordinary products and extraordinary service. Facebook fans 97,200. Twitter followers 10,994. About Blog Live Pretty, Naturally. A blog on all things good and natural when it comes to beauty and wellness. Facebook fans 11,807. Twitter followers 9,073. New York About Blog I'm here to share my love for natural beauty and natural living, with easy to follow videos in hopes of making your life easier and healthier. Facebook fans 349,859. Twitter followers 35,370. Palm Harbor, Florida About Blog At Simply Organic Beauty, we are a dedicated community of hair stylists, salon business owners and industry experts by providing luxurious salon services through our exclusive collection of natural and organic salon products. Facebook fans 11,861. Twitter followers 51,899. San Francisco, CA About Blog Focusing on simple and healthy ways to let our natural beauty shine. Self post tips, tricks and questions are encouraged. Facebook fans 1,212,634. Twitter followers 580,691. San Jose, CA About Blog 100% PURE is the most healthy and most nourishing food for your skin made from pure, organic nutrients. Their mission is to always provide the best and most nourishing skincare products while loving and being charitable towards animals. Facebook fans 322,455. Twitter followers 16,208. Singapore About Blog Singapore green beauty blog on natural, organic cosmetics. Features K-beauty, skincare tips, DIY beauty recipes, product reviews, and clean food and more. Facebook fans 5,043. Twitter followers 1,402. San Diego, California About Blog On a mission to prove an organic lifestyle can still be glamourous. Facebook fans 13,681. Twitter followers 2,102. Marylebone, London, UK About Blog Get organic and natural skin care guides and news from CONTENT Beauty blog. Facebook fans 6,645. Twitter followers 11,416. Edmond, Oklahoma About Blog Jenni Raincloud is a natural lifestyle blog loaded with DIY skin care and beauty recipes, health posts and informative posts on essential oils. Facebook fans 8,382. Twitter followers 318. Austria About Blog Explore the tips and tricks in the world of natural and organic beauty with our informative beauty blog articles. Facebook fans 8,482. Twitter followers 990. Carbondale, Colorado About Blog Osmia Organics provides natural and organic products that nourish your skin and indulge your senses while respecting the environment. Osmia Organics features a variety of luscious, handmade organic soaps, sensuous body oils, and uniquely fragrant natural perfumes with eco-conscious packaging. Facebook fans 15,706. Twitter followers 3,407. NY, USA About Blog Tips for Natural Beauty is where you will find tips and pieces of advice on how to keep your skin healthy and beautiful, using home-made remedies. Learn how to get youthful skin & healthy hair, by using natural skincare and haircare products,anti-aging products that work,& easy DIY homemade beauty. Facebook fans 5,449. Twitter followers 470. Saint Simons Island, Georgia About Blog One Love Organics is a natural, ethical and environmentally driven cosmetics company created by skilled cosmetic artisans. Our products are handmade and hand-filled, using only the highest grade of ethically sourced raw materials to ensure the most effective, luxurious and guilt-free application. Facebook fans 44,719. Twitter followers 12,477. Worldwide About Blog Mielle Organics is a hair care brand known for its focus on incorporating high quality and certified organic ingredients into each of its products.Their mission is to help each women empower and embrace their hair and to be able to have healthy beautiful luxurious hair and healthy skin. Facebook fans 86,129. Twitter followers 4,397. About Blog AlmostExactly is a crunchy blog for the real person! it emphasizes a more natural lifestyle, and focuses on the research behind it all. Facebook fans 5,226. Twitter followers 454. San Diego, CA About Blog The Organic Life is a space where the universe always has your back. Healthy Living, Green Beauty, Fitness, Happiness More. Facebook fans 8,497. Twitter followers 1,576. Dallas, TX About Blog At Beauty By Earth, we're here to bring you all natural skin care products that harmonize with your body's natural state. We use organic, natural ingredients that nourish your body and help inspire your beauty. Facebook fans 11,603. Twitter followers 7,887. Waterloo, Ontario About Blog Truth Beauty is Beauty for the ingredient conscious - your eco beauty shop, stocked with safe & effective products only. We curate our space to include only the clean, cruelty-free, & passionate. The products are as truthfully & beautifully made as possible, perform or out perform conventional, and are packaged exquisitely & with care. Facebook fans 2,040. Twitter followers 1,985. Rocky River, OH About Blog Organic Spa Magazine offers expert advice and inspiration on sustainable health and wellness, beauty and skin care, fashion and travel, and organic food and beverages.Organic Spa Magazine bridges spa wisdom, wellness and preventive health with the eco, green and organic lifestyle, offering simple, attainable steps toward a more sustainable and healthy lifestyle. Facebook fans 81,169. Twitter followers 37,440. New Jersey About Blog Ecco Bella carries natural and organic skin, hair, body, and make up products. This is a brand that has revolutionized holistic, organic, cruelty-free products. Facebook fans 12,810. Twitter followers 2,538. About Blog Gurlgonegreen was birthed out of a strong passion to let others know you can lead a green life, and not compromise style, beauty, and functional living. Facebook fans 1,915. Twitter followers 676. New York City About Blog Joanna Vargas is known for her results driven, non-invasive facials & natural & organic skincare products. Joanna Vargas Salon, Skin Care Sanctuary has your answers with cutting-edge and revolutionary skin care treatments. Facebook fans 929,510. Twitter followers 16,193. Melbourne, Victoria About Blog A comprehensive range of 100% natural plant based eco-cosmetics, free from harmful chemicals, certified organic ingredients, non GMO, cruelty free, 100% Australian made and owned. Facebook fans 25,229. Twitter followers 1,370. Waverly, Iowa About Blog Root provides nature and glamour combine to make our High Quality Natural, Organic, Mineral Makeup & Beauty Products. Facebook fans 18,570. Twitter followers 3,553. Copenhagen About Blog LisaLise offers bespoke formulations and cosmetics using nature's best offerings to nourish and pamper your skin and hair in the kindest, most natural way. LisaLise creates skin- and haircare products using plant-based ingredients. Facebook fans 912. Twitter followers 1,362. California, USA About Blog An organic beauty blog dedicated to organic natural products for skin, hair, body & more. Here you'll find inspiration to lead a healthier lifestyle by using products that are made with nontoxic, nourishing ingredients. Our mission is to make the green beauty revolution YOURS. Facebook fans 493. Twitter followers 610. Cary, North Carolina About Blog Stay tuned for the latest in the cosmetics industry and get tips to live a healthy and beautiful life, from the founder of Afterglow Cosmetics. Enhancing beauty and inspiring creativity through effective natural, organic and safe cosmetics. Facebook fans 14,559. Twitter followers 2,366. About Blog A blog dedicated to healthy lifestyle and natural, organic beauty. Including organic makeup, skincare, haircare and more. Facebook fans 2,537. Twitter followers 5,197. United States About Blog Sky Organics is the Purest Organic Body Butters and Oils sourced from Artisanal Organic Farmers. Learn how to enhance your life with natural skin care products with hundreds of tips available and dozens of easy DIY beauty recipes. Facebook fans 6,317. Twitter followers 908. About Blog My name is Lisa. I am passionate about green beauty, clean eating and healthy lifestyle. This blog is about informed choices and healthy decisions. Green beauty, clean eating and nontoxic home. Facebook fans 1,681. Twitter followers n/a. Hertfordshire About Blog Natural beauty and lifestyle news from organic skincare brand Evolve Beauty. Includes handmade beauty recipes, offers, and advice. Facebook fans 4,326. Twitter followers 4,089. Gold Coast, Australia About Blog EcoTan is a Certified Organic Self Tan & Body Care range is Australian made. All natural, organic ingredients, vegan, cruelty free & toxic free. Facebook fans 98,518. Twitter followers 1,299. Wick, Highland, United Kingdom About Blog Organic Surge channels the vibrancy and goodness of nature into our everyday lives. With products as individual as we are, natural formulas and charitable links, Organic Surge is dedicated to making life better wherever we can, starting with you. At Organic Surge we believe that life can be full of enriching experiences, and with a little help we can all live life better. Facebook fans 13,686. Twitter followers 14,646. United Kingdom About Blog Beauty and Lifestyle blog focused on Natural, Organic and Eco Friendly options by Ana Green. Facebook fans 873. Twitter followers 11,314. New York About Blog Candid reviews of non-toxic and organic skincare and makeup. Their mission is to find green alternatives in makeup, skincare and cleaning products! I hope to spread the word about the need to respect the environment and to reduce plastic waste! Facebook fans 4,547. Twitter followers 8,768. 41. The Organic Beauty | Natural, Radiant Beauty from the Inside Out! Santa Monica, CA About Blog I'm Natasha Uspensky, holistic nutritionist and healthy lifestyle expert. I created The Organic Beauty to be your resource to celebrate and learn about everything from healthy eating and living for your whole family, to natural beauty and sustainable style. I hope to inspire you to live beautifully and healthfully, in a life you love! Facebook fans 1,273. Twitter followers 877. Sydney, New South Wales About Blog Depths of Beauty is a blog by Professional MUA Emmily Banks who supports natural, organic, nourishing and non toxic beauty. Her mission is to share and educate people about the depths of beauty and she also reviews and shares products. Facebook fans 4,070. Twitter followers 167. Europe About Blog Your guide to natural organic cosmetics, reviews, brands and store directory, ingredients glossary, aromatherapy, eco living. Facebook fans 259. Twitter followers 876. Australia About Blog Eminence Organics is a multi award winning organic skin care line using natural & healthy ingredients for your skin, free of any harmful chemicals or additives. Their mission is to enhance your well-being naturally through extraordinary products and extraordinary service. Facebook fans 3,097. Twitter followers 660. Melbourne, Australia About Blog Botáni is Australia’s leading natural skin care brand utilising natural and organic certified ingredients to produce unique, versatile & simple skin care. Get latest skin care tips and trends. Our top skin care tips on how to use natural skin care products to care for your skin and celebrate natural beauty. Facebook fans 4,551. Twitter followers 800. Cape Town, Western Cape About Blog Eco Diva Natural, Organic, Anti-aging Skin Luxury. Eco Diva brings you Natural skincare products aimed at improving your skin while helping the environment! Facebook fans 6,787. Twitter followers 2,503. Walnut, CA About Blog A luxury monthly subscription & gift box company. We create beautiful, themed boxes that feature all organic, natural and cruelty-free beauty products! Our mission is to connect people with the cleanest, most effective and luxe beauty products in existence. Facebook fans 4,465. Twitter followers 527. Brighton, England About Blog Glow Organic is a blog dedicated to the world of green beauty! They discuss organic, natural beauty & provide makeup tutorials using organic products. Facebook fans 1,212. Twitter followers 1,927. United States About Blog A Beauty & Lifestyle Blog for the Eco-Conscious Woman. Sabrina Zimmerman loves green beauty, breaking out into song for no reason, pizza, comics, animals & finding products to help her live a more eco-friendly & non-toxic life! Facebook fans 211. Twitter followers 2,905. Amsterdam, The Netherlands About Blog My blog is about natural/ organic beauty, health and green lifestyle: reviews, skincare tips, beauty tips, advices. Facebook fans 240. Twitter followers 4,946. London About Blog Natural and Organic beauty blog by Louise Dartford. Facebook fans n/a. Twitter followers 2,059. Bondi, New South Wales, Australia About Blog Liberty Green is an Australian Organic Beauty & Lifestyle Blog. Everything from natural make-up & skincare, to wholefood recipes, natural pet care and product reviews, Liberty Green is here to help make the switch to a natural lifestyle that bit easier! Facebook fans 1,680. Twitter followers n/a. Henderson, Colorado About Blog Lily Farm Fresh offers the best natural, organic skin care products that are the only skincare products which you can buy from a the USDA grower. Our mission is to make the world a more beautiful place through our organic natural skin care and through our organic farming. All women are beautiful, we just want to help you stay that way, organically. Facebook fans 1,264. Twitter followers 1,882. Georgia About Blog Learn more about trending topics, new products and get incredible advice for all things related to organic skin care and beauty. HollyBeth Organics offers organic skin care & beauty products that are made from pure, all-natural ingredients. Facebook fans 11,231. Twitter followers 1,617. Australia About Blog Eve Organics is a 100% natural and organic beauty boutique. They are specialists in uncovering niche, all natural skin care & organic beauty products from across the globe. Facebook fans 1,365. Twitter followers 604. Sydney, Australia About Blog Pevonia is a luxury organic, natural skin care line that offers a complete range of products for men and women. Used by luxury spas around the world. Facebook fans 5,274. Twitter followers 1,780. East Coast About Blog At the heart of Tsi-La Organics lies the essence of artfully distilled nature. Tsi-La Organics was conceived from our desire to produce natural and organic products made from the world's finest natural and organic ingredients. Facebook fans 4,692. Twitter followers 887. Auckland, New Zealand About Blog Shannon Dunn—Journalist, passionate conscious-minded mama, holistic healer and eco beauty editor. I started Eco Beauty Editor to show people that beauty was about so much more than looks, beauty products and television commercials. I didn’t realise, back then, that I was among the first online to write about beauty from a truly holistic standpoint, covering spirituality, self-work and whole-foods, alongside 100 percent natural skincare and makeup. Facebook fans 2,706. Twitter followers 2,584. About Blog Attitude organic is the solution for all the trendy and busy women who wish to be healthier and greener. Our aim is to help you to adopt a more sustainable Attitude and lifestyle in the easiest possible way. Discover all the latest trends about healthy food, natural beauty, sustainable fashion and yoga. All the tips given here are easy to implement in your daily busy life. Get all the knowledge you need to adopt an healthy lifestyle and to remain stylish and trendy without effort. Facebook fans 416. Twitter followers 284. Atlanta, GA About Blog AlpStories is a personalized organic skincare line for women. All AlpStories ingredients and skin care products are truly organic; created without parabens, sulfates, artificial colors, synthetic fragrances, mineral oils, and silicones. AlpStories official blog site is filled with an abundance of information on bespoke organic beauty and skincare - the readymade & those made by you. Facebook fans 316. Twitter followers 749. USA About Blog Green Esthetics offers organic beauty products made from natural ingredients. At Green Esthetics, they use only top-quality, tested ingredients to formulate safe and effective products that even the most health-conscious consumer can use with ease and confidence. Facebook fans 380. Twitter followers 875. About Blog The latest news, tips, tricks and trends, including DIY beauty, healthy living and L’eclisse mineral makeup and natural skincare how-tos. L’eclisse provides healthy cosmetics with nature’s finest ingredients and formulas to nourish your skin with certified organic goodness. Facebook fans 26,761. Twitter followers 573. New York About Blog Green Beauty Team is an online resource for beauty-philes everywhere who are serious about cleaning up their beauty routine without sacrificing style or performance. A storehouse of essential information on non-toxic, organic, natural and effective advice from experts in every field of holistic beauty and personal care, GreenBeautyTeam.com provides A-Z guidance on all facets of sustainable beauty. Facebook fans 9,618. Twitter followers 9,478. United States About Blog Green Beauty, Organic Makeup, and Living a Healthy Lifestyle. I’m a product junkie so I am always seeking out the best of the best when it comes to green, natural, organic, cruelty free and non - toxic beauty brands. Watch videos on Youtube. Facebook fans 162. Twitter followers n/a. District of Columbia, USA About Blog NG Styles Organic Beauty Tips shares the secret behind organic home products that can help keep our skin looking healthy and beautiful without applying some harsh chemical beauty make up. We believe that skincare should contribute to your organic beauty and not compromise it. Facebook fans n/a. Twitter followers 83. India About Blog If you want an instant fix for your skin & body, if you want to be updated on all the fashion trends & if you want life hacks. Watch videos on Youtube. Wilmslow, Cheshire About Blog LJ's Natural Solutions Cheshire handmade organic skincare for everyone, but particularly those with sensitive skin and eczema. Read about my experiences and how my products can help in my blog. Facebook fans 1,754. Twitter followers 2,801. About Blog I am a Make-up Artist and Designer working in film and television. I am passionate about organic cosmetics and want to show that there are viable, ethical alternatives to mainstream products. Facebook fans n/a. Twitter followers 1,165. About Blog Keep up with updates from Mysite. About Blog Amethyst Crystal Organic Beauty provides convenient mobile makeup and hair services for all special occasions. All makeup products are non-toxic, cruelty free and vegan. Facebook fans 1,220. Twitter followers n/a. Sydney About Blog La Mav Australia is a Natural & Organic Makeup & Skincare Blog. Read our skincare & makeup tips and advice. Facebook fans 7,526. Twitter followers 2,279. East Ringwood, Victoria About Blog Hair and beauty products that are certified 100% organic. Skin care, body and bath, perfumes, men products that make our world a happier, safer and healthier place to live. Facebook fans 199. Twitter followers n/a. Central Region, Singapore About Blog We are a green beauty salon & store providing organic facials and sugaring hair removal treatments. We also sell green products for you to use from head-to-toe. Facebook fans 2,673. Twitter followers 11. Kelowna, BC About Blog Promoting a health-conscious lifestyle that incorporates the healing powers of nature and the high vibration of crystals. Crystal Hills Organics News and Articles. DIY beauty recipes, wellness articles, crystal write ups and more. Facebook fans 1,543. Twitter followers 116. London About Blog Miss Organics provides skincare tips, wellbeing inspiration, organic skincare, guest interviews and more. Get organic skin care products crafted in small batches using only the purest natural organic ingredients. Kind to the skin and the environment.100% Natural and Vegan. Facebook fans 408. Twitter followers 644. Nashville, TN About Blog Poppy & Monroe specializes in offering non toxic beauty products and natural and organic services for nails, makeup and skincare. Services include manicures, pedicures, facials, sugaring hair removal, waxing, makeup application, brow and lash tinting. Facebook fans 1,393. Twitter followers 139. Atlantic Canada About Blog I am Jenna Catherine. I am sharing my love for all things natural & non-toxic beauty. If you are looking to make the switch to Eco Beauty and Lifestyle, you have come to the right place. Facebook fans n/a. Twitter followers 389. Atlanta, GA About Blog Sally B's Skin Yummies are natural, organic skin care for the face and body. Their products include non-toxic skin care. Check out their blog to read organic skin care and other tips, as well as to learn about our organic lip gloss and other products. Facebook fans 23,492. Twitter followers 1,757. London About Blog This is the Twelve Beauty blog, you can find here really practical beauty tips for sensitive and difficult skins to look radiant on any situation. Facebook fans 1,354. Twitter followers 1,772. About Blog The Organic Beauty Expert provides tips and reviews on some healthy, natural and organic products along with great beauty recipes and natural remedies. Facebook fans 2,451. Twitter followers 83. US About Blog Hi, I’m Liz. I started out as an organic beauty researcher and blogger over a decade ago and got noticed for my writing by a large natural beauty brand. Facebook fans 500. Twitter followers 886. Ottawa, Canada About Blog Learn more organic healthy beauty secrets. We are devoted to helping you achieve healthy beauty. Facebook fans 2,131. Twitter followers 1,303. Melbourne, Victoria, Australia About Blog Read our latest blog posts on all things related to natural and organic skin care, make up and hair care. Organic Beauty Co. is aimed at bringing you high quality natural and organic products, void of known and widely used chemicals in the main stream cosmetics industry . Facebook fans 844. Twitter followers n/a. Melbourne, Victoria, Australia About Blog Hi, I'm Tilly (aka Matilda). An organic beauty blogger from Melbourne, Australia. My goal is to take the ‘niche’ out of the natural beauty movement and make it more affordable and accessible to everyone. Facebook fans 343. Twitter followers 772. Sydney Australia About Blog MV is essential for all discerning skincare lovers, including those with sensitive skin. Luxury Organic Skincare created by Sharon McGlinchey. Facebook fans 2,866. Twitter followers 1,600. NJ About Blog The Glamorganic Goddess is your source for the latest clean beauty tips, natural and organic product reviews, healthy lifestyle how-to's... from a sassy, young Breast Cancer Survivor with a passion for prevention! Green your glam! Find healthy beauty products without carcinogens, without sacrificing your standards! Facebook fans 12,107. Twitter followers 4,742. California, USA About Blog Juice Beauty offers organic skin care and organic beauty products that are clinically validated to show transformative results. Our organic skincare products include moisturizers, anti-aging, anti-wrinkle, makeup, cleansers, sunscreen and more. Facebook fans 264,126. Twitter followers 27,427. Santa Cruz, California About Blog Jessica Ress, aka SpaGoddess is formulator, founder, and CEO at Angel Face Botanicals, and author of the book 100% Organic Skincare Recipes. Jessica holds certifications in aromatherapy, Reiki, and Reiki Crystal Healing. Her luxurious aromatherapy products promote beautiful skin and overall health in mind, body, and spirit. Facebook fans 2,755. Twitter followers 2,030. Melton Mowbray About Blog Botanicals organic skin care products are made from natural, herbal and certified organic ingredients. With no artificial additives, unnecessary colourings, harsh chemicals or harmful preservatives. High quality natural and organic ingredients They reflect our belief that nature really does know best. And that pure and organic body care products. Facebook fans 2,370. Twitter followers 1,874. Kansas City About Blog Kimberlyloc guides you through the growing world of green beauty by providing honest and thorough product reviews. This blog is authored by beauty blogger Kim Wallace. Facebook fans 2,138. Twitter followers 4,759. Los Angeles, CA About Blog Living passionately, beautifully and thoughtfully every day. Wellness & self-care magazine. Facebook fans 3,104. Twitter followers 11,186. Australia About Blog Botanical skincare handcrafted using high quality therapeutic grade, certified organic and wildcrafted botanicals- for you and your family. Facebook fans 388. Twitter followers n/a. About - Ailish has spent the majority of her life learning the art of make up, skincare and all things beauty, whilst working full time inside and out of the industry. The Glow Getter is a Natural and Organic Beauty Blog which focuses on everything that helps you glow inside and out. About - Beauty and Lifestyle blog focused on Natural, Organic and Eco Friendly options by Ana Green. About - Clean Beauty Collection is a natural beauty community, brought to you by skincare experts Elsie & Dominika. We promote transparency in beauty and are on a mission to empower you to take control of what you put on your skin. We're your destination for all things green beauty - DIY recipes, advice, reviews and tips from the two of us as well as our CBCo readers. About - Botanicals organic skin care products are made from natural, herbal and certified organic ingredients. With no artificial additives, unnecessary colourings, harsh chemicals or harmful preservatives. High quality natural and organic ingredients, They reflect our belief that nature really does know best. And that pure and organic body care products. 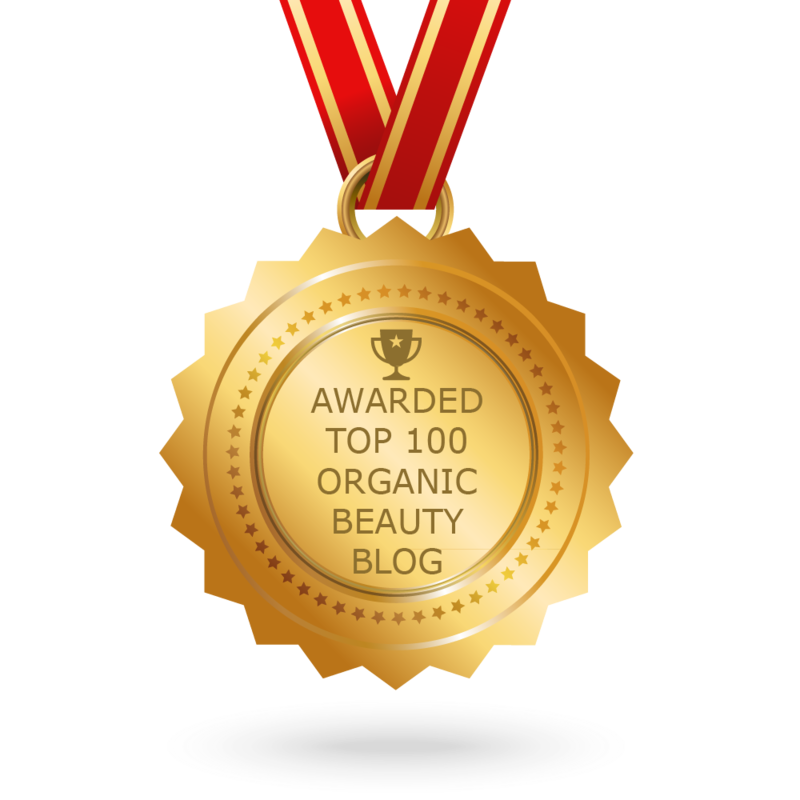 CONGRATULATIONS to every blogger that has made this Top Organic Beauty Blogs list! This is the most comprehensive list of best Organic Beauty blogs on the internet and I’m honoured to have you as part of this! I personally give you a high-five and want to thank you for your contribution to this world.